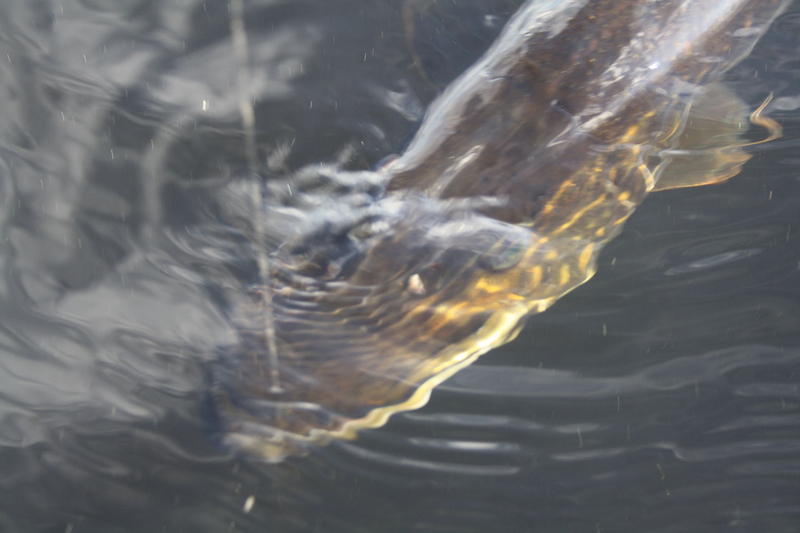 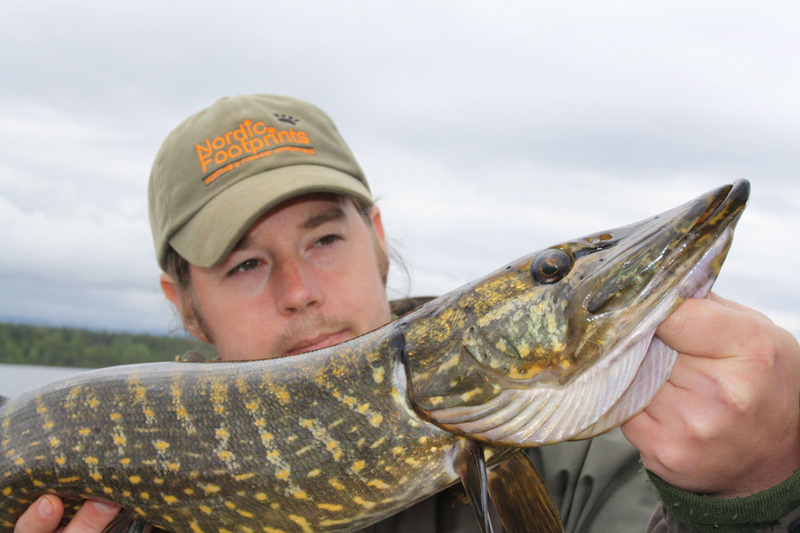 Dreaming about the big pike? 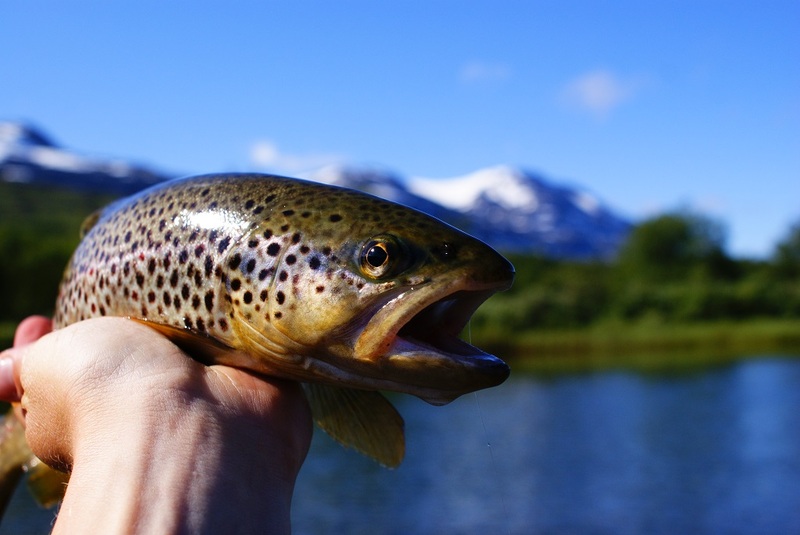 Come to us and your dreams will come true. 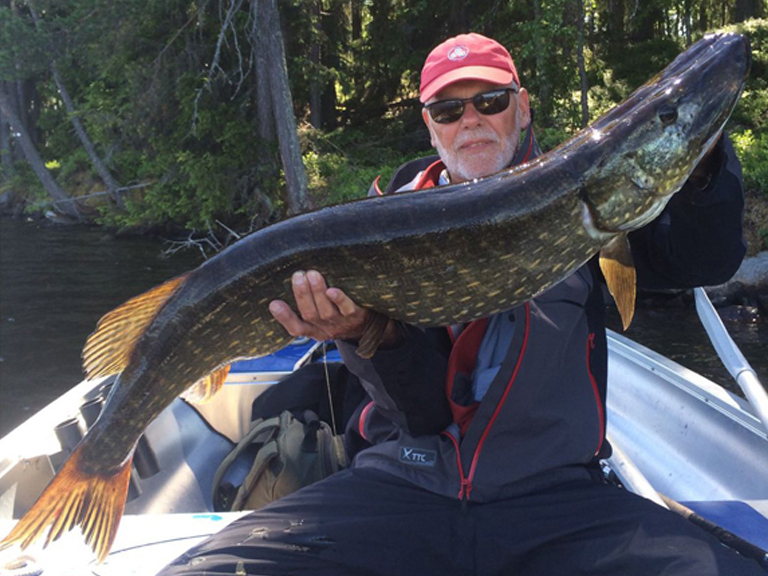 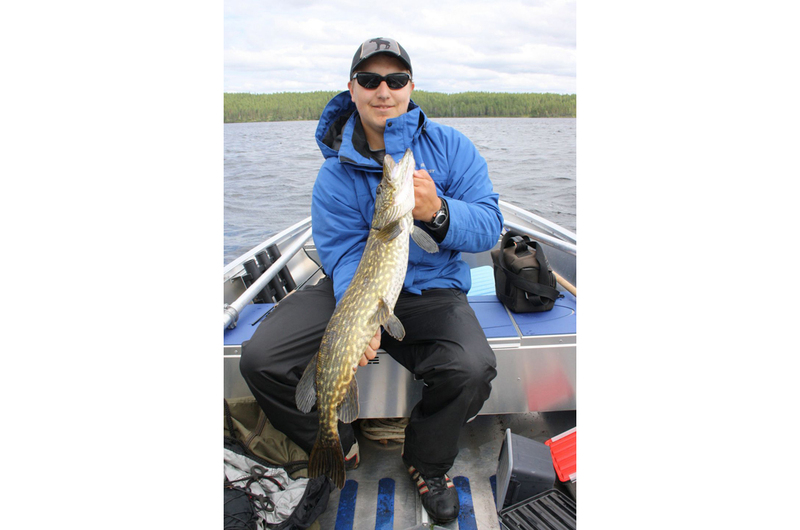 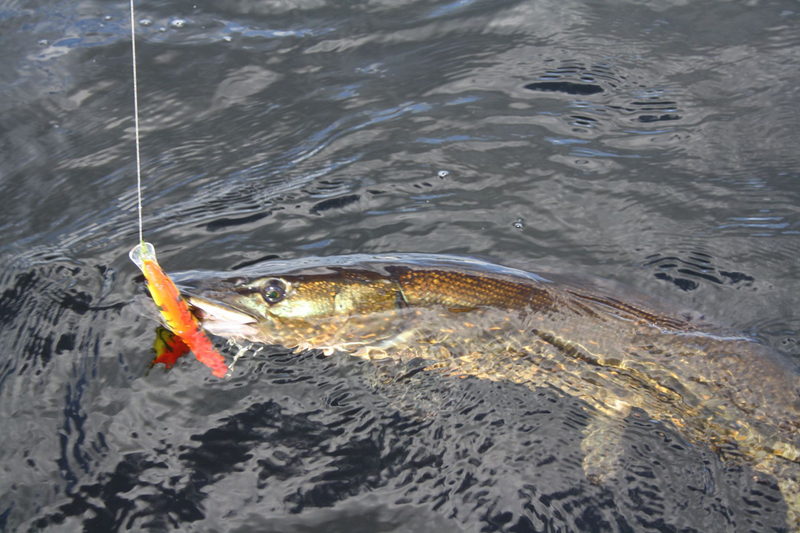 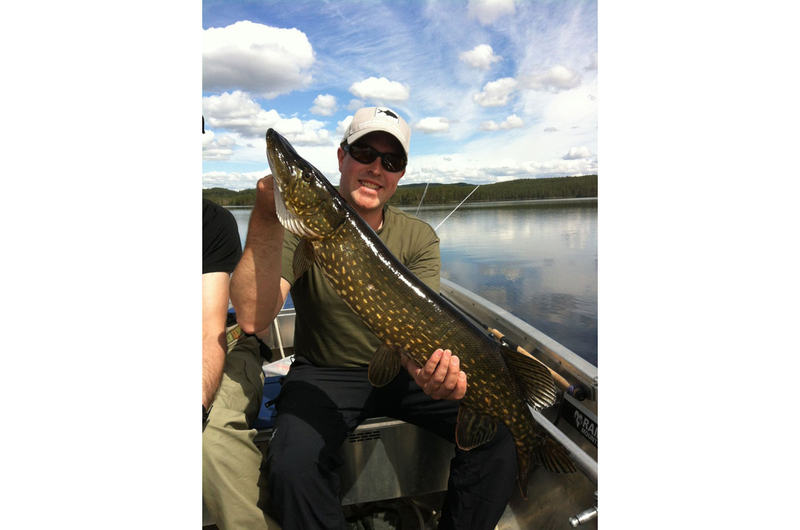 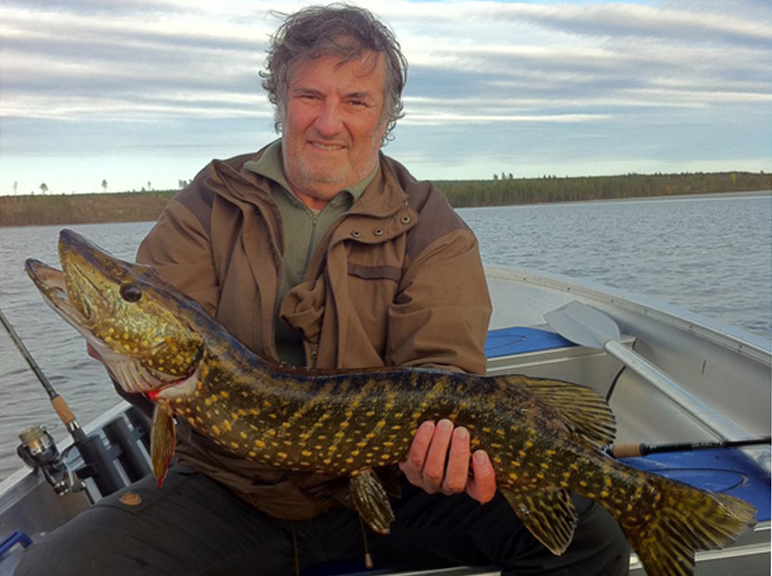 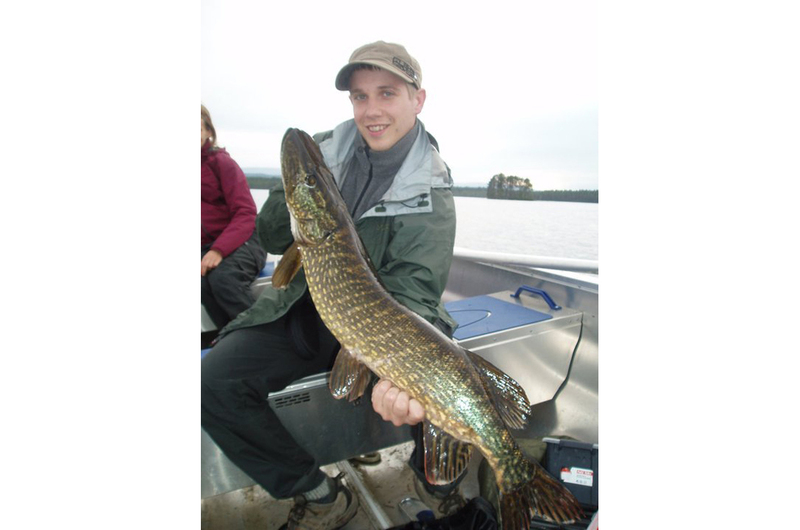 We have perfect pike waters nearby and experienced guides who will make your fishing experience as successful as possible. 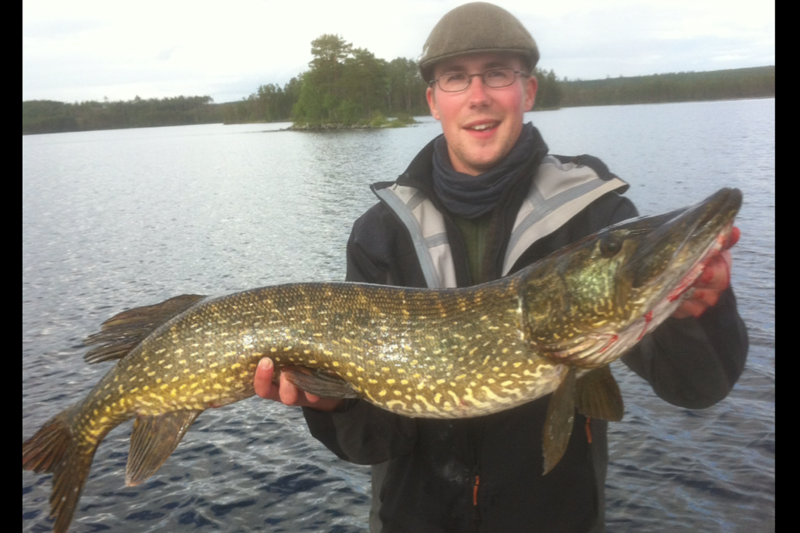 The Pike special is available from the middle of May to the end of October. 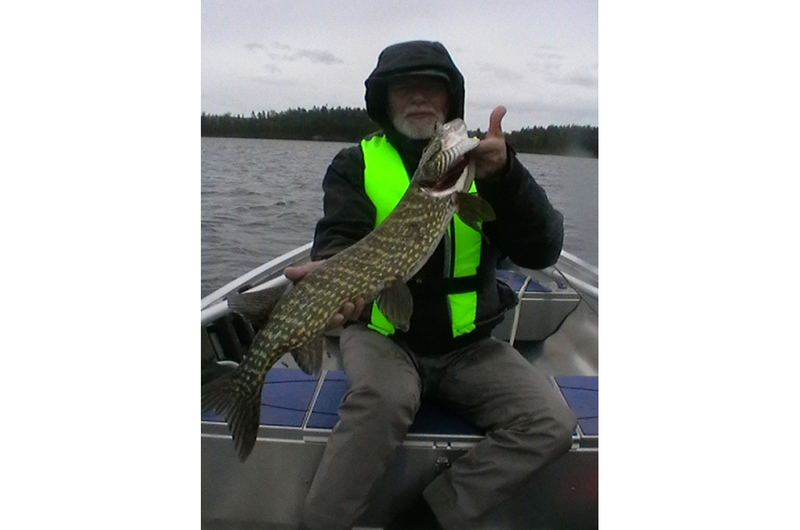 A great time for the trophy pikes. 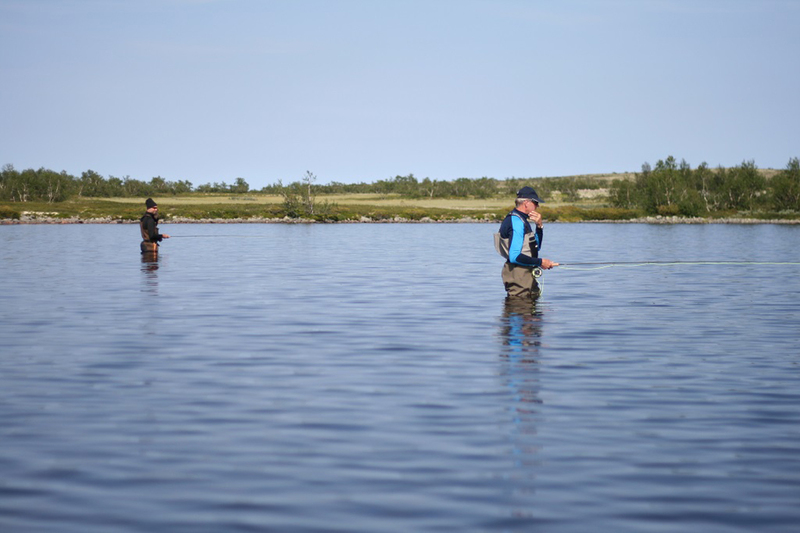 We will fish from shore and from our boat carrying up to 4 people and prepared for trawling. 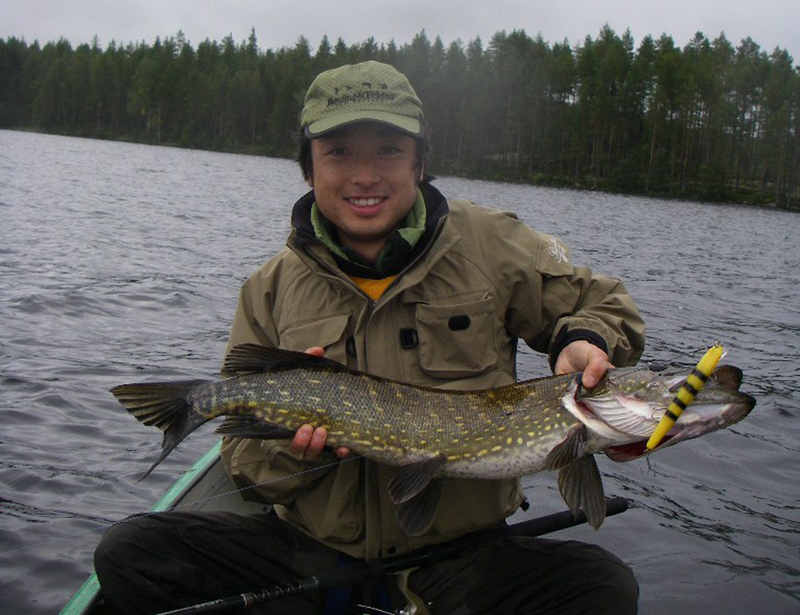 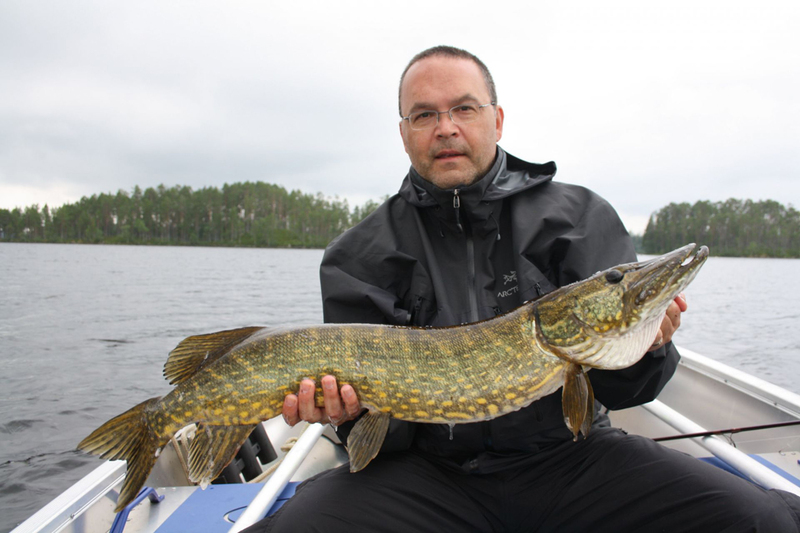 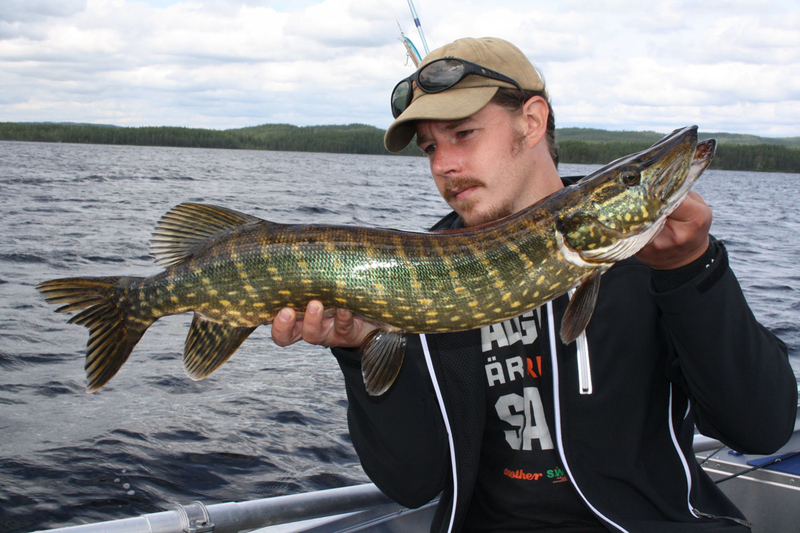 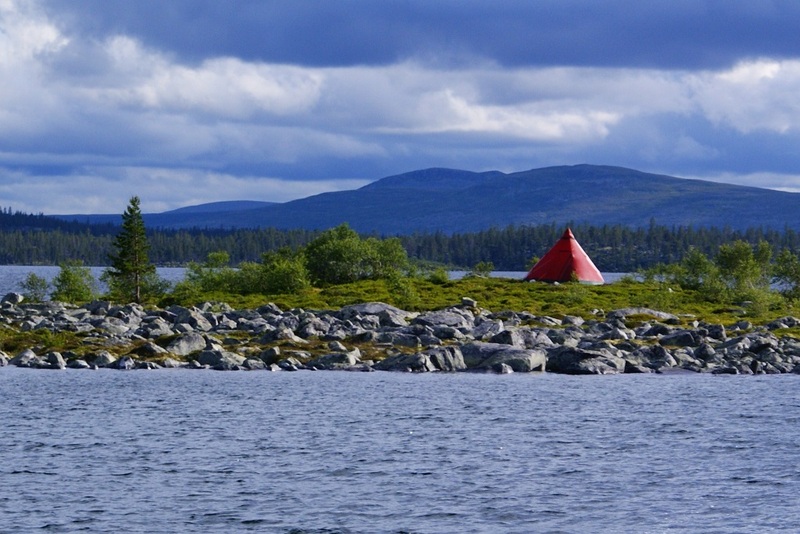 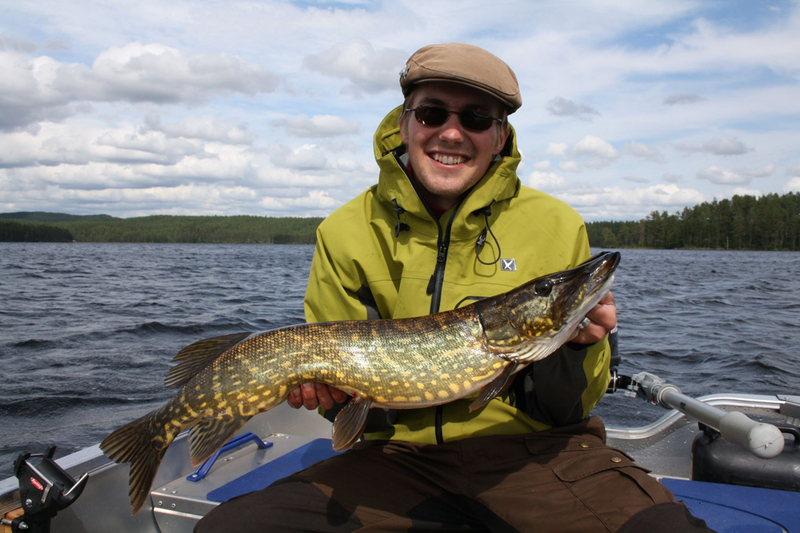 If you want to combine your pike fishing with forest bird hunting, have a look at the package Nordic Top 3. 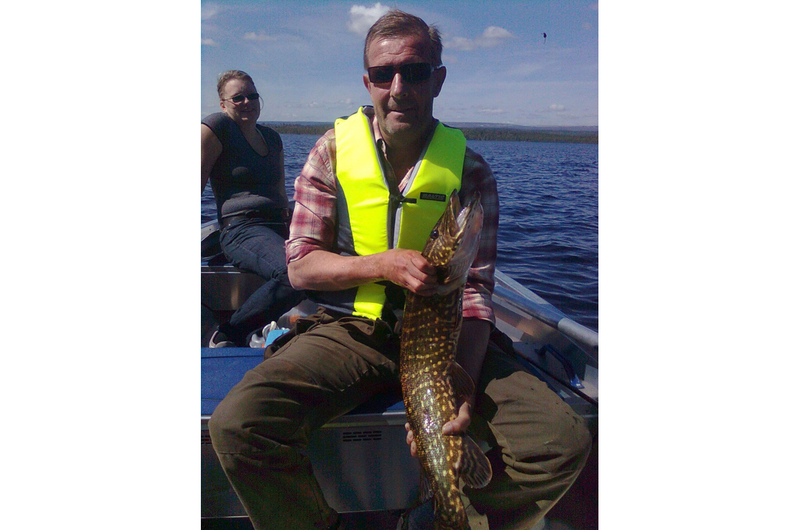 Transport to/from Sweden and Northern Dalarna. 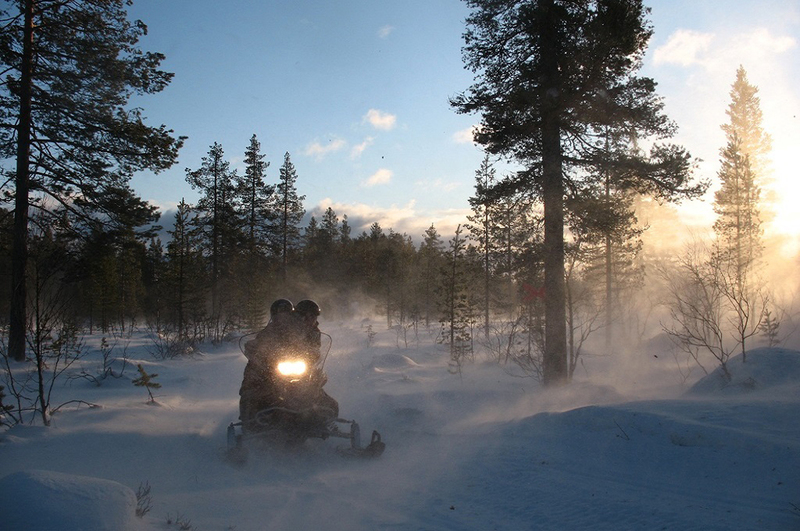 Clothing and other personal equipment.